Thanks for reading my adventure blog. Each Tuesday, I recap life lessons I learn while on adventures. Some adventures are small and some are big. The main goal of this blog help others get inspired to get out and explore our beautiful planet. 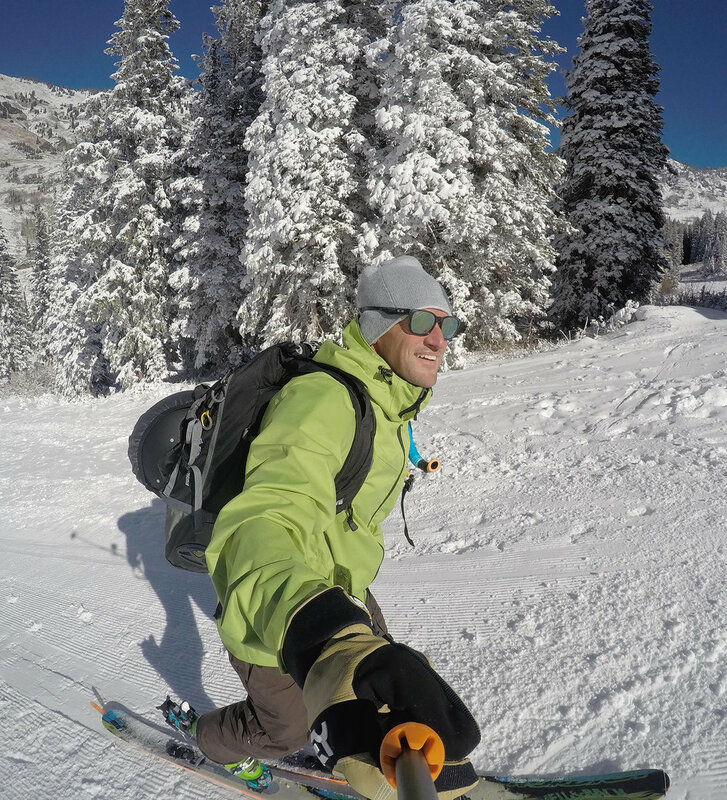 This week's adventure recaps a fun ski tour at Alta Ski Resort up Little Cottonwood Canyon. One of my favorite places to hang out during the early ski preseason is at Alta Ski Resort up Little Cottonwood Canyon. The minute the first snow falls you'll find enthusiastic skiers and snowboarders exploring the different areas of the mountain. Seeing snowboarders is a little unusual but cool, because they are not allowed on the mountain once the resort openings. Alta is one of three resorts left who only allow skiers. As you approach early preseason skiing at any mountain area you need to be careful. Avalanches are a risk and debris under the surface can tweak a knee without warning. Climbing a mountain teaches you the life lesson of moving forward. You start at a parking lot and set a goal to reach the top of a mountain peak on skis. The only way you can reach the summit is moving one foot in front of the other. You don't use a ski lift or helicopter. Plus, early preseason at Alta there are no lifts running. You have to earn your turns. Moving up a mountain on skis is difficult and rewarding. Because you are moving slowly up the mountain you take in more of the environment around you. You quickly learn that moving forward helps you slowly but surely move up the mountain to new views and perspectives. Life is also like this. We will be faced with challenges and trials. The most important thing you can do when life gets tough is get back up, dust yourself off, and move forward up the mountain. Some ski days are cloudy, stormy, and cold. Just like life. But stormy days turn into sunny days and when the sun hits your face it fills your soul. Some of my favorite days are when the sun is out and the skies are blue. My ski tour at Alta was one such day. It was a bluebird day. Since it was early preseason, I followed the main ski runs up to the top of Collins lift. I took Corkscrew to Meadow to Mambo. As you ski tour, you typically find a nice path that provides the safest most direct path to the summit. As you are faced with obstacles, you find new paths and move forward again. I'm grateful for skiing. It's a blessing to get out in the mountains and pursue peaks on skis. I'm grateful for this adventure. Here's my challenge: Set a goal to get out in the mountains this winter. The mountains are calling. Go out and get inspired. Pictures were taking using the GoPro Hero4 Black on time lapse mode.